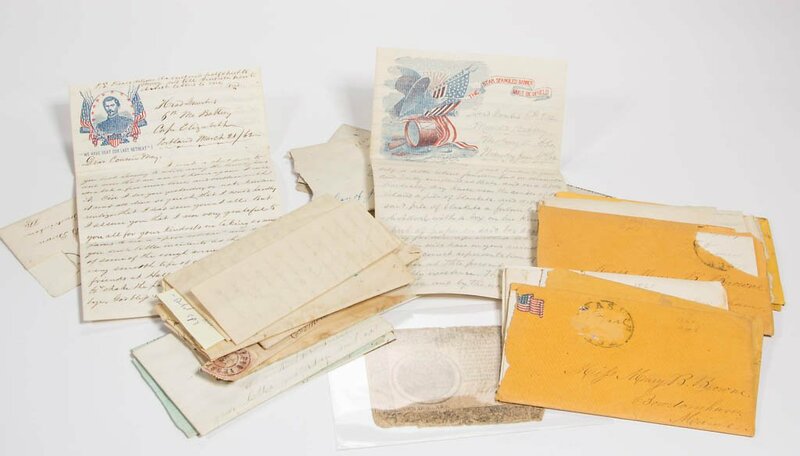 These thirteen Civil War era letters — which I call The Bowdoinham Letters — were all addressed to one or more members of the John and Seraphina Brown family of Bowdoinham, Maine. Most are addressed to their daughter, Mary Bartlett Brown (b. 1838), and she and her descendants should probably be credited with preserving them. Provenance: From an Alexandria, VA private collection. Raymond H. Fogler Library, University of Maine. Box 280 f 59 (Chase) Alonzo. Letters, 1864-1865. 9 items. Holographs signed, with envelopes addressed to Mrs. Rufus Chase, Lexington, Maine. Box 280 f 60 Chase, Sanford C. Letters, 1864-1865. 5 items.